Welcome to our website. Here you will find information on us and our dogs. 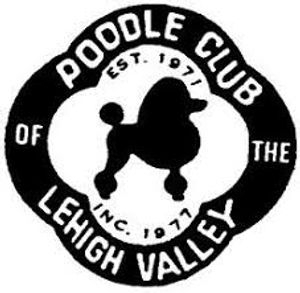 We are both members of the Poodle Club of the Leigh Valley. 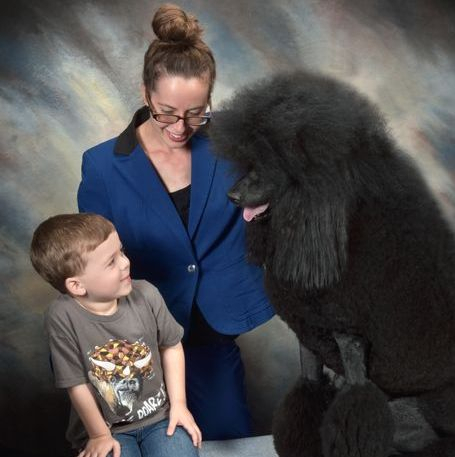 Diane is also a member of the Berks County Dog Training Club, where she not only takes part in training our own dogs, but in teaching and judging for the club at times. 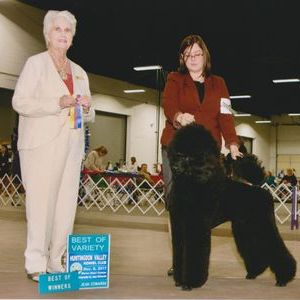 You can also find Kim recommended on PawPointer.com, although it is not a poodle specific breeder referral listing it is made to help connect loving owners with health pets. 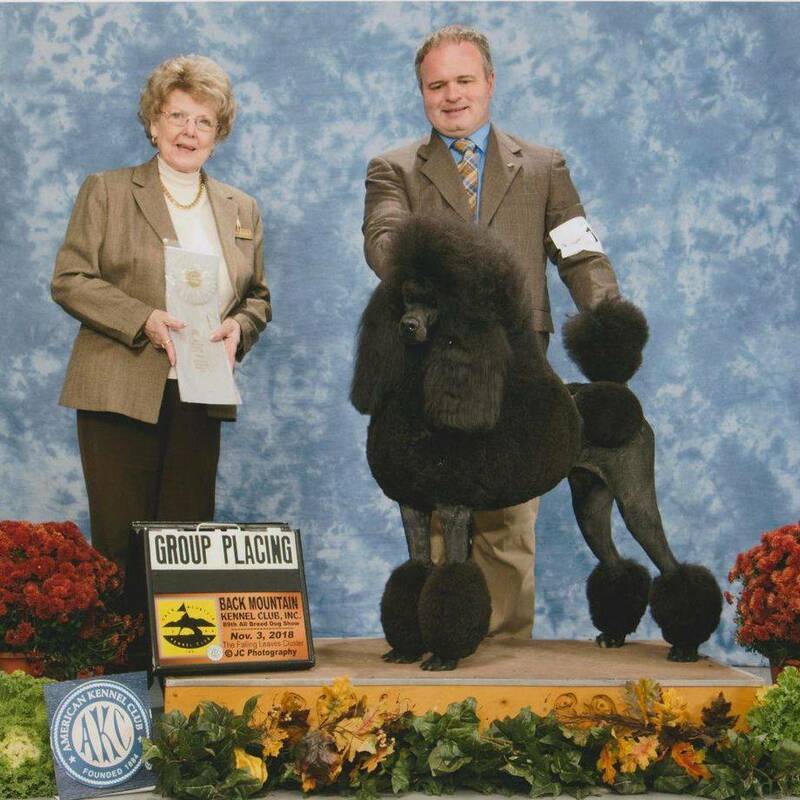 Our standard poodles have their clearances and are bred from the best of breed and performance. 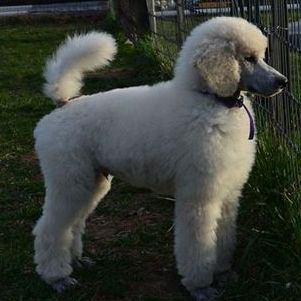 With a Standard Poodle, not only will you have not only a beautiful dog but a smart one. 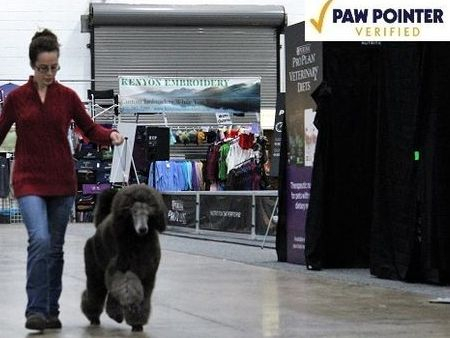 They make great family pets, and excel in any venue - breed, obedience, agility, rally, tracking, dock dogs, hunting, search and rescue, excetera. 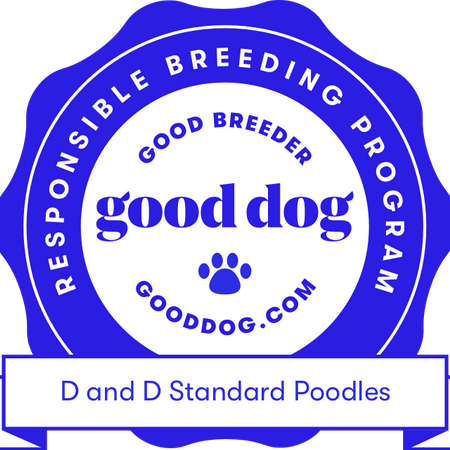 We start out with the best quality dogs so our puppies have the best start from day one. Our dogs are all show dogs. 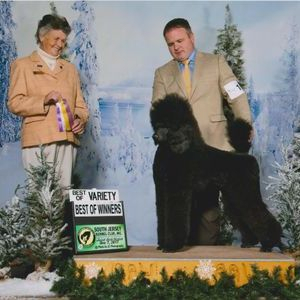 All of our dogs have AKC titles. 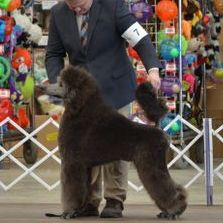 We also show in UKC so you will also see UKC titles on most of our dogs as well. 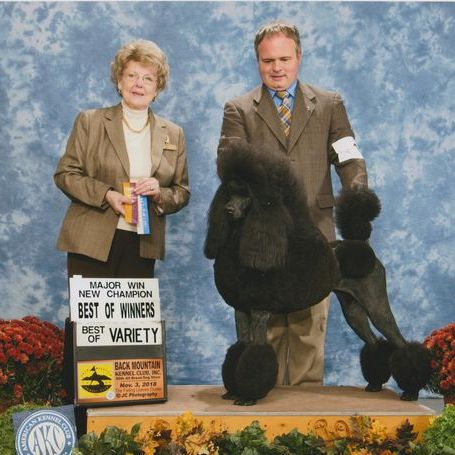 You will see both conformation champions, and performance titles on our dogs. Our dogs all also have champion lines. 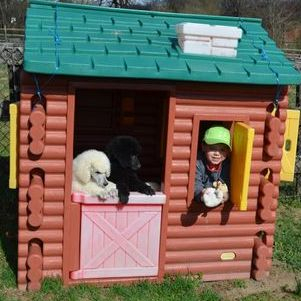 Our puppies are raised in our family home which consists of adults and a child. Puppies are started from day one being stacked and will be started in basic training. You will have a well-balanced puppy both physically and mentally. 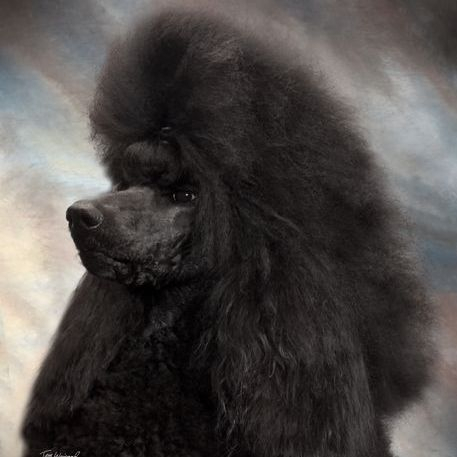 Standard Poodles are known to be one of the most intelligent breeds of dogs. 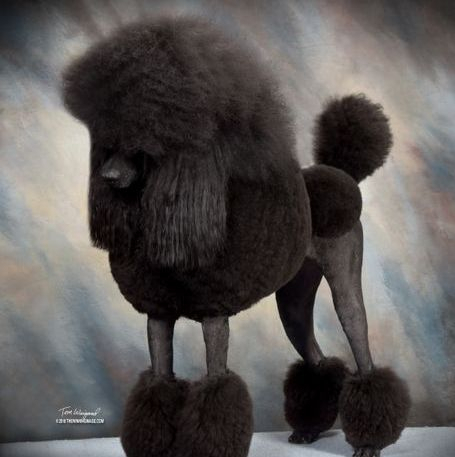 They are hypo allergenic so they do not shed and are the perfect dog for someone who suffers from pet allergens. They are known to be very clean and easy to house break. 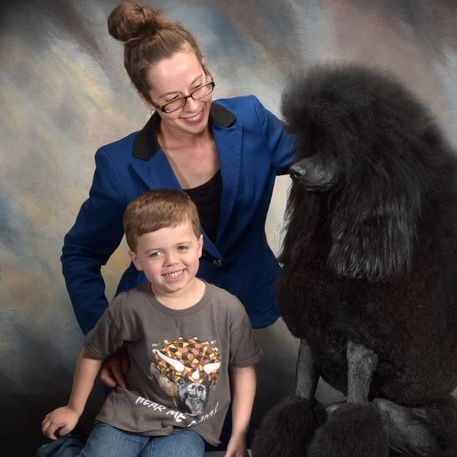 The Standard Poodle is a great family dog and great with children. We are happy to answer any questions you may have and look forward to pairing you with your next family member. We do not sell breeders. 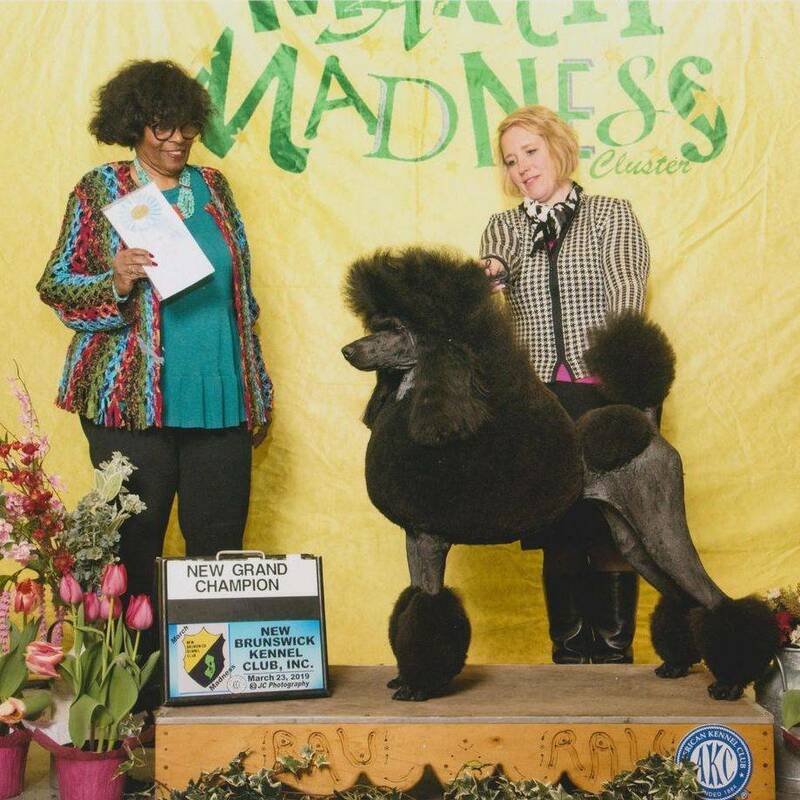 All puppies are sold with AKC registration limited. 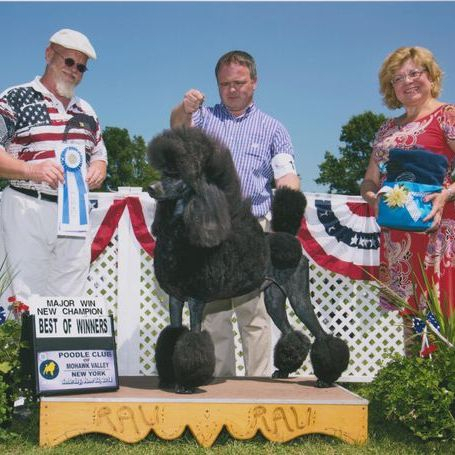 If you would like to purchase a puppy to show there is a show contract with that puppy. 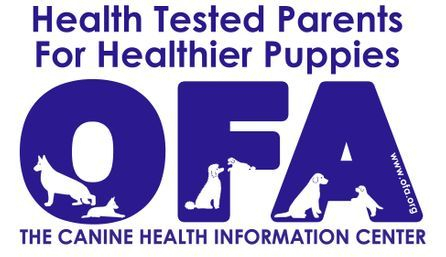 Please look and read through our website and Facebook page as you so you can learn more and enjoy pictures and videos of dog at shows, pet demos, expos, etc that we have attended with our dogs as well as simply at home. 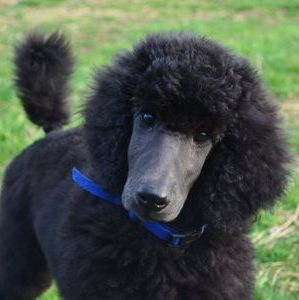 We will have Standard Poodle puppies coming available spring 2019. Please check out the puppies and waiting list pages of our website.